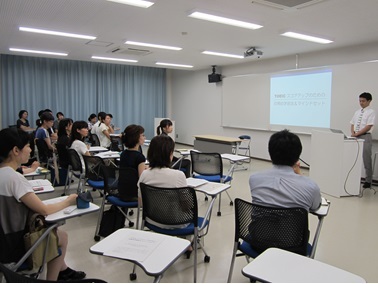 On August 23, 2016, a seminar was held to provide the University’s administrative and technical staff with pointers to help them improve their TOEIC scores. 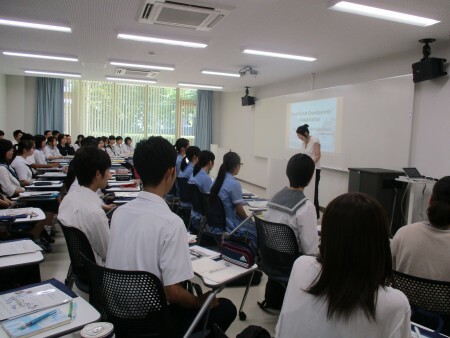 As one of the universities selected for the government’s Top Global University Project, the aim of the seminar was to promote the globalization of Kumamoto University, and to motivate the university’s administrative and other staff to continue studying English and help them to further improve their language skills. 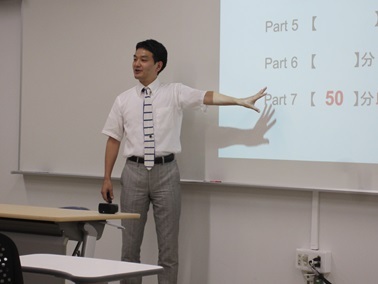 Attended by close to 30 staff members, Koji Hayakawa, who has a wealth of experience in teaching English at universities, companies and the like, gave a three-hour seminar on the topic of “Effective study methods and mindset for improving TOEIC scores”. He began by talking about the importance of studying English, citing the example of top athletes competing overseas. He then gave pointers for handling the specific sections of the test, and explained the recent trends in TOEIC questions and effective training methods. 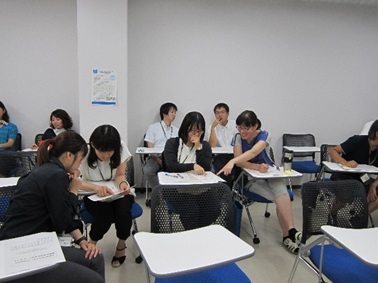 Many participants said “The seminar provided us with eye-opening and very useful information” and “I’m going to review my study methods up to this point and I’d like to take the TOEIC test again as soon as possible”. Many of the participants expressed the desire for a repeat of the seminar, which was a resounding success. On Saturday, August 6 the Global Youth Campus Open College Day event was held at the College of Cross-Cultural and Multidisciplinary Studies. 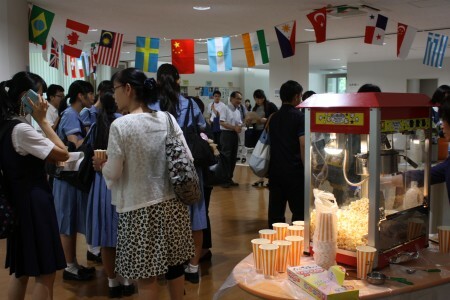 During the lunch break, the “Global Café” was opened, offering high school students the chance to speak directly with the English speaking staff and faculty of the College of Cross-Cultural and Multidisciplinary Studies, as well as peruse the University’s study abroad programs and hone their interest in international education. Many of the participants of this event expressed their interest at studying at Kumamoto University and abroad in the future. The College of Cross-Cultural and Multidisciplinary Studies will continue to offer opportunities to high school students to experience English courses at Kumamoto University, as well as consultation about studying abroad.